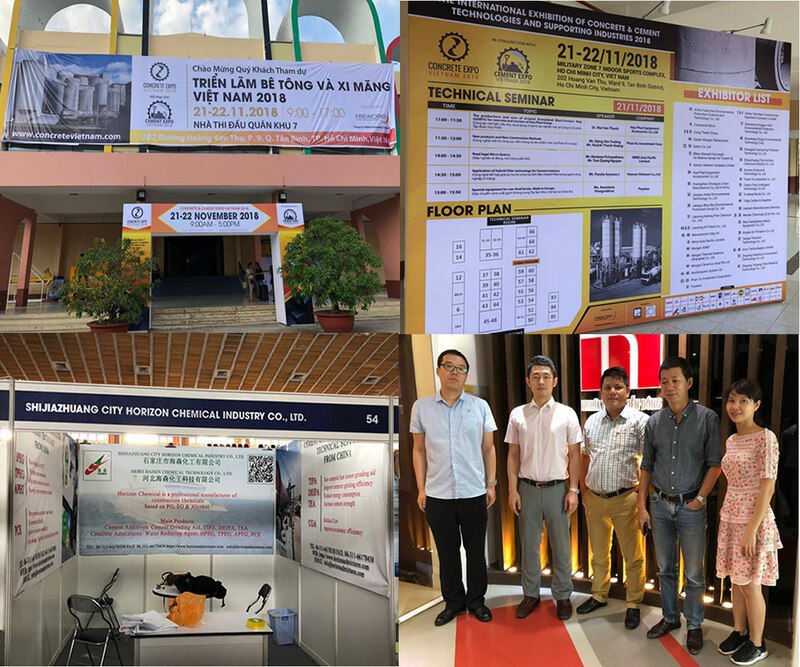 You are here: Home » News » Company News » Shijiazhuang Haisen Chemical is participating in the chemical exhibition in Ho Chi Minh City, Vietnam. Shijiazhuang Haisen Chemical is participating in the chemical exhibition in Ho Chi Minh City, Vietnam. Haisen Chemical has a development history of more than 20 years. It has its own factory and team. It is a manufacturing R&D enterprise combining domestic and foreign trade. We mainly produce triethanolamine, mother liquor and monomer of polycarboxylate water reducer, diethanol monoisopropanolamine, polyethylene glycol, cement grinding aid and other products. Among the customers we have worked with, the feedback is still relatively good. Horizon Admixtures always think truly lasting economic performance from honest business, we believe"STRENUOUSNESS MAKES GOOD ACHIEVEMENT HONESTY MAKES GOOD BUSINESS QUANLITY FIRST CUSTOMERS SUPREME " Horizon supply superior products and perfect services, working togethrt with friends from home and abroad for win-win future.